Doors are useful in a variety of ways. Whether you’re looking to enhance your home’s curb appeal or are wanting to keep out harsh elements, Window World of Savannah has the product for you. 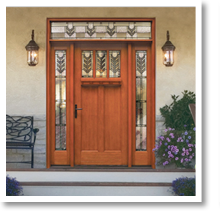 Our exterior doors are durable enough to keep you safe inside, while attractive enough to dress up your residence. Our interior doors allow for natural light to shine through, further warming your space. 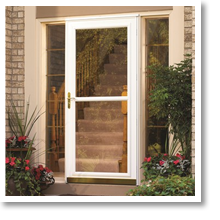 Window World of Savannah is proud to offer a complimentary in-home estimate to all of our new and existing customers. We’ll have one of our seasoned Window World professionals come out to your Savannah residence and discuss with you the best option for your home, in a no-pressure environment. 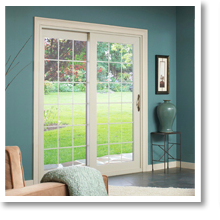 Look through our selection of replacement door styles to gain inspiration on how to better the look of your home. Your entry door is the first thing your guests see as they arrive at your home. Choose from some incredible features to customize your door to fit your unique style. 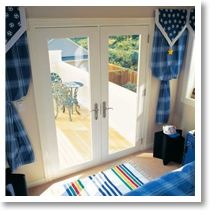 Sliding patio doors provide easy movement from your living room to your patio. Masterfully crafted for smooth operation, these products are made to withstand inclement weather. Add a stylish French patio door to your living space. Energy-efficient double-paned glass keeps you comfortable year round, and saves you money on your energy bill. 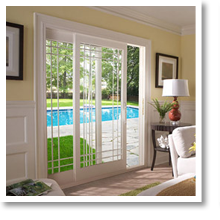 With the elegance of a French door and the functionality of a sliding patio door, French rail sliding patio doors are perfect for your Savannah residence. Constructed with a premium vinyl mainframe that won’t chip, peel or crack, it will last for years to come. Window World’s impressive storm doors allow you to enjoy the fresh Georgia air, while keeping out elements like moisture and pesky insects. Contact Window World of Savannah Today! Here at Window World of Savannah, we’re excited to help you with your next home project. Don’t forget to schedule a free in-home estimate and we’ll gladly assist you in finding the best product for your style and budget. Contact us today!